Thomas Matusak, our postdoctoral Mellon candidate will be conducting a lecture on the short film Muta by Lucrecia Martel. In the wake of the digital turn, contemporary theorists have highlighted the fundamental inhumanity of media. 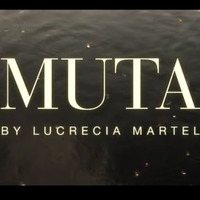 This presentation looks to the figure of the insect in Lucrecia Martel’s 2011 short film Muta to theorize the wider mutations of cinema in the twenty-first century. Like the insect, the pixel flickers, swarms, mutates. Indeed, insects have long served as a model of organization in computer science and digital media. I explore how, in her transition to the digital format, Martel herself offers an insectoid theory of media that reframes concerns with the materiality, production, and distribution of post-cinema in terms of non-human forms of life.